I'm fuzzyhead in Dublin, Ireland. I'm originally from the US but living in Ireland at the moment. I'm new to the Mini world and have had an interest in them since living in England as a kid. I recently purchased a JDM Mini from Japan and it's currently making it's journey from South Japan to Nagoya to get on a ship. Hopefully the Mini will be here in January. I looked at a few Minis here in Ireland but they all had rust issues. 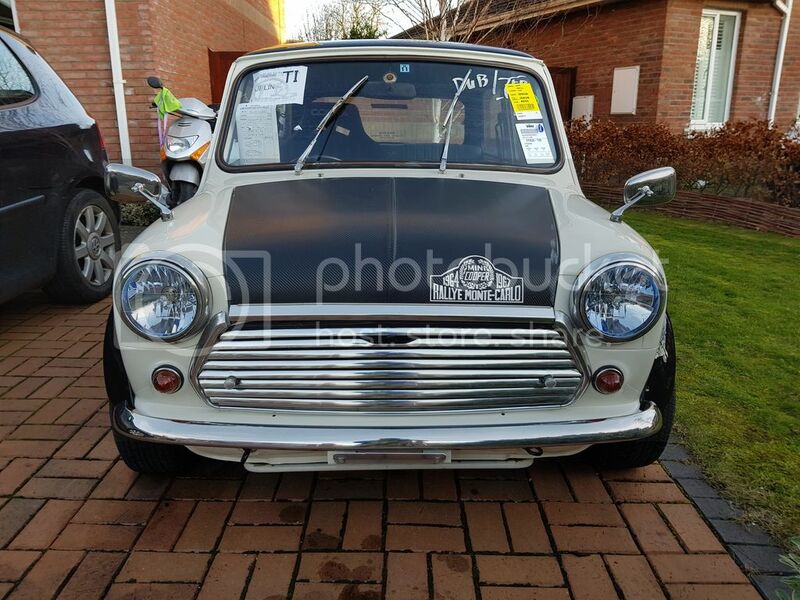 I'm hoping the Mini from Japan will be fairly rust free. 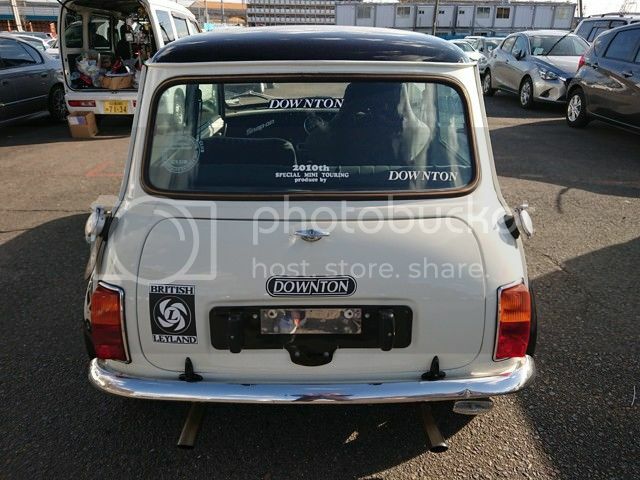 Here are some pics of the Mini at the seaport in Nagoya. Edited by fuzzyhead, 14 February 2019 - 06:45 PM. Welcome aboard, and good luck with the import! Get some photos up once it arrives. JDM mini's always fill us brits with jealousy, due to the solid metal - hopefully yours continues that trend. Welcome to the emerald isle. 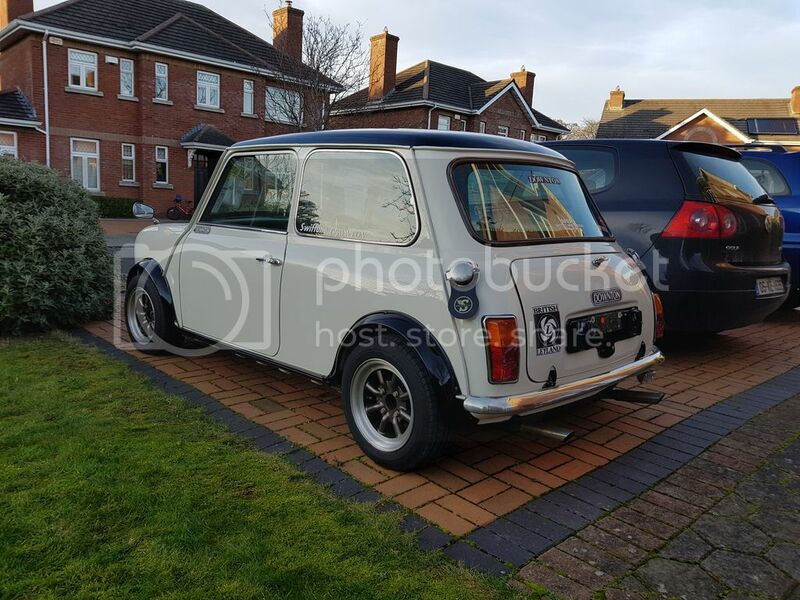 If you need any backup Minifix in Dublin are pretty good and are familiar with JDM minis. The Irish Mini Owners club celebrate 30 years next year so there should be some good events and we will have a large contingent heading to Bristol for IMM'19 . Thanks you. I wish I could go to IMM 2019, but I'll probably be heading back to the US in June. I've met the lads at Minifix already, they're very nice and have a cool supercharged shop car. I won the auction 3NOV2018. The Mini was in Kyushu Japan and had to make it's way up to Nagoya. 15NOV2018: Mini is in Nagoya. 12DEC2018: Mini got loaded onto MV Tirranna. The Mini should've been unloaded in Germany or The Netherlands to get on a smaller vessel for Ireland. Once I get more information, I'll update the thread. Well, your mini is better travelled than most of us. Hope it arrives safely. Bet you can't wait! I hope you're not going back to anywhere in the States near where your Min's already been. That's if you'll have to pay again for it to make the return journey! The Mini is here! I just got it delivered two days ago. It looks great. It's not perfect, but I didn't expect it to be. There's some light rust in a few places but it's not bad. 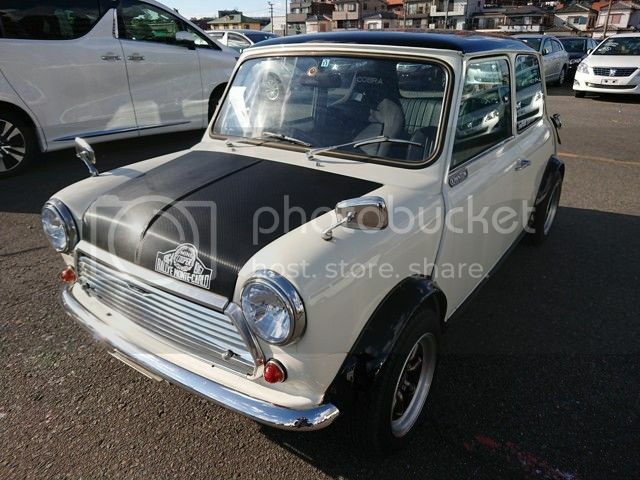 I've always liked Japanese cars and I've always liked British cars too, so it's pretty cool to have a JDM Mini. I don't have an NCT registration appointment for another two weeks which is a bummer. I wish I would've made the appointment a week ago but it hasn't cleared customs yet. Hopefully the registration process won't be too painful. The tires on it are rotten, and will need replaced before it will pass NCT. The driver's seatbelt looks like it's been caught in the door jam several times because it's a bit torn. That will need replaced too. 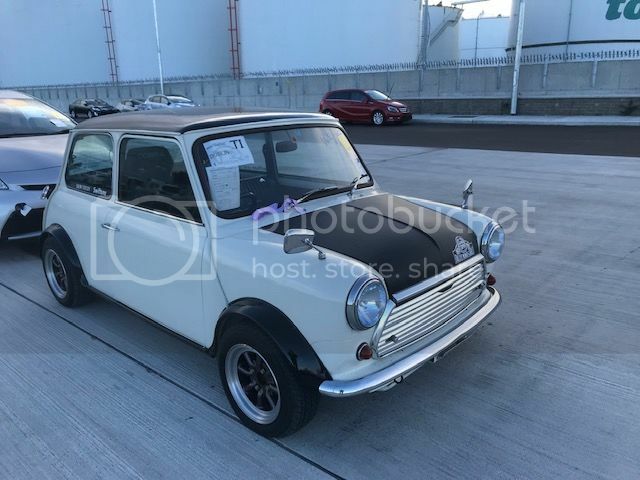 Here is the Mini at the port here in Dublin. Long journey. Here is the Mini home! Edited by fuzzyhead, 14 February 2019 - 06:51 PM. Looks real nice, what year is it? So I've been going through the Mini trying to figure out what's what. The tires are rotten and need replaced. What is this "EXH" light for? It was tucked under the dash. This little switch (rear fog) was biding behind the others in the dash. I wish it had the original dash in it. What a mess. I have two weeks to get it sorted out before NCT registration/safety. I found this relay. Not sure yet what it goes to. Aren't I supposed to have like 5 relays here? 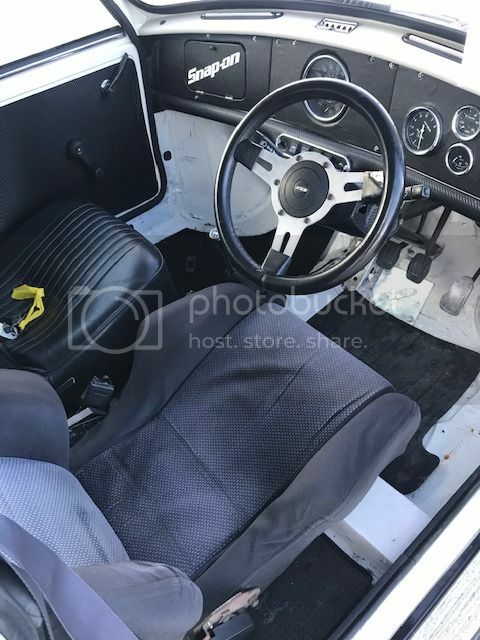 I see the car has twin carbs, it either came with a single carb or if its a Cooper fuel injection with a different loom and more bits that could have been cut off.. The relays your "missing" are to do with the injection cars. Your indicator/hazard relay will be behind the dash. 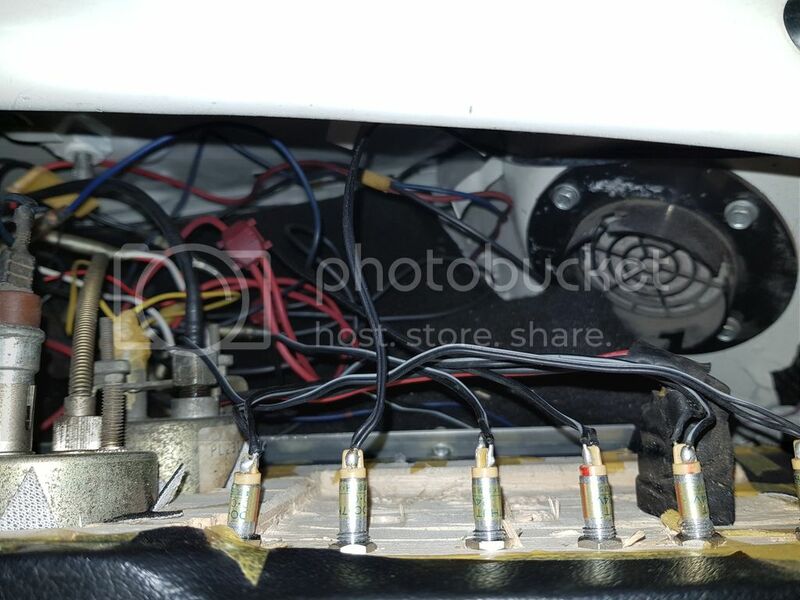 The original switch panel would have had 5 holes to include the fog light switch.The most likely fault for the fog light not working is corrosion in the inline fuse behind the carbs. I think the relay you found has a white stripe on the red wire and its in the right area for the engine crank relay but the purple and yellow wires don't match the correct colours. There may be a repair done there. Some Jap minis are fitted with a second lambda sensor after the cat that triggers an alarm, I would think thats what the EXH light is. Edited by viz139, 17 February 2019 - 12:56 PM. Viz, thanks for the info. I'll post a picture of the engine bay in a couple of days. 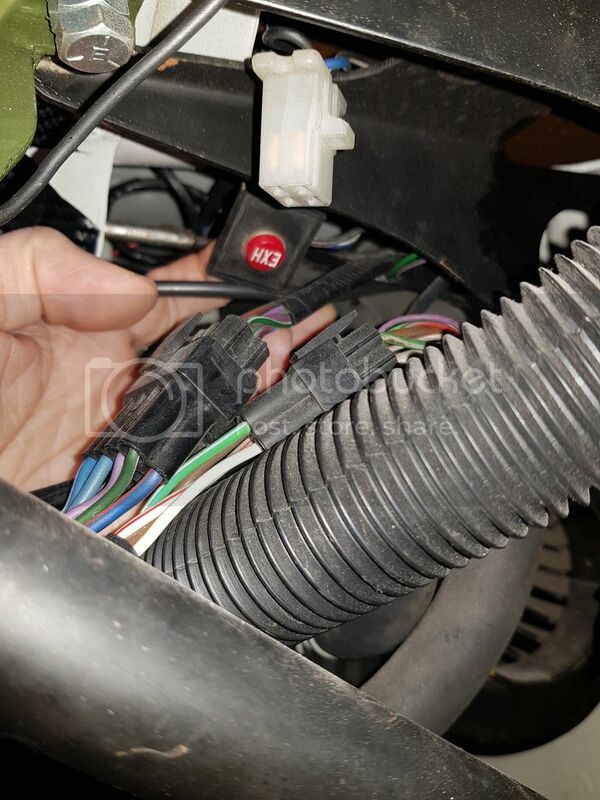 I fixed the slow flashing on the indicators by fitting an electronic flasher from a Land Rover Defender. It's not ideal as the wiring for the flasher must have high resistance since it was flashing so slowly. I'll have to sort that out at some point. 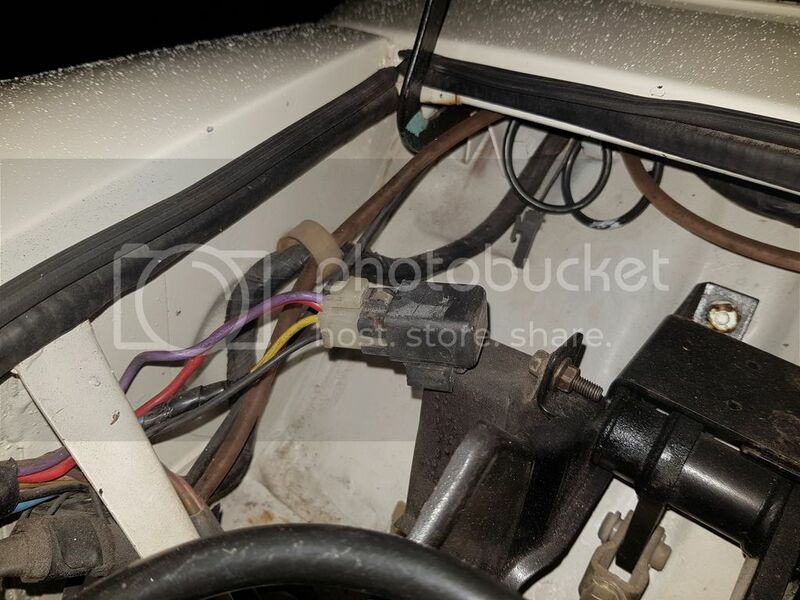 The wiring behind the dash is a mess. I've been able to remove unnecessary or wires which weren't connected. The EXH wire wasn't connected at all. 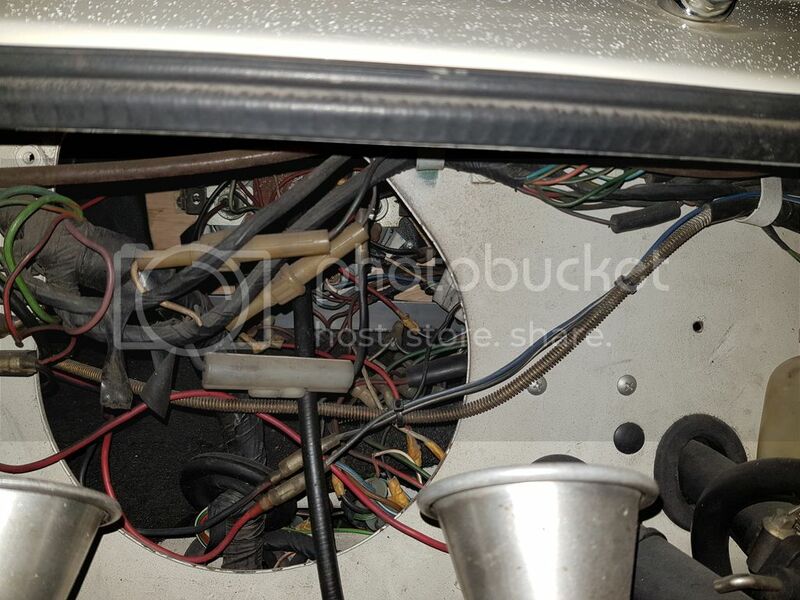 There's a whole clump of wires that go up the driver's A pillar an disappear into the headliner. I'm thinking that was for the radio, but I'm not 100% sure. I haven't found the hazards relay or the dip/dim relay yet. I thought I had LED tail lights because of the pattern the light was showing, but when I took the lens off, they're not LED. I did fix the brake lights by installing a switch I picked up from Minifix. The reverse light still isn't working. There's power going into the switch, but nothing coming out of the switch when the car is in reverse. I haven't gone underneath the car (I don't have anything to raise it yet) so I'm not 100% sure what the issue there is. From what I understand it's screwed on. Maybe the switch backed out a bit and isn't making contact. The rear fogs aren't working and I don't seem to be getting any power to the switch at all. Perhaps I only tested it with the headlights off though. I can't remember. 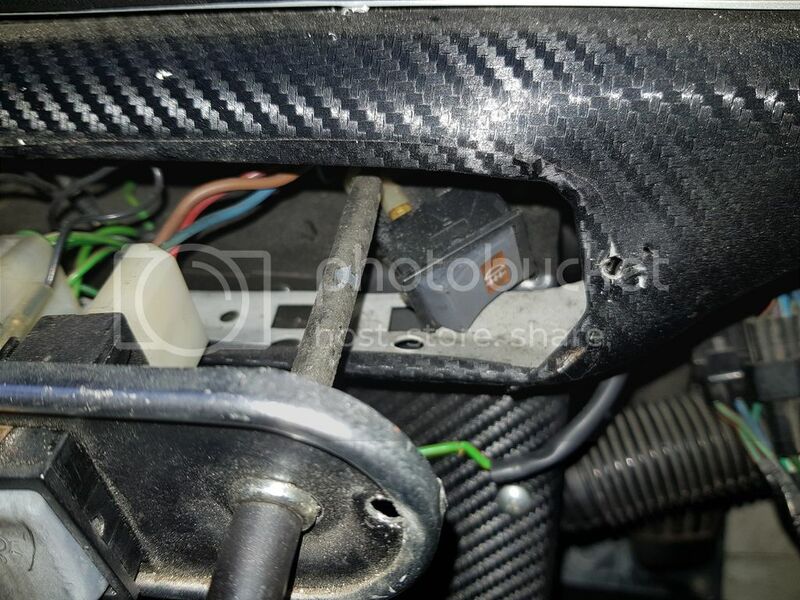 I believe the headlights must be powered in order for the rear fog switch to receive power. The fuse block looks pretty bad and could do with a good cleaning or replacing. I got some used taillights from Minifix to replace the Mk2 lights which don't have the reverse light in them. Unfortunately one of the taillights I got from Minifix has a big crack in it, which I didn't see until I got home. I haven't fitted the taillights yet because it's been rainy ever day I get off work, so I'm stuck working on wiring inside the car. The front right headlight is super dim. I assume really low current through the wire (bad/corroded connection somewhere) or a bad ground. I haven't pulled the light off yet (dark and wet when I'm able to work on the car) so I haven't been able to look much into it. I may just connect a temporary wire from the left side to the right side so it'll pass NCT. I ordered new tires. What do you guys use to jack up and support the car? Do I need a low entry floor jack? I'll probably have to get some jack stands too so I can take the wheels off and get the new tires mounted. As of now, I'm very frustrated with the car. Being from an auction of which I have no idea the shape of the car is in, it's been a pain. I was hoping to not have to do much to it, but it seems the nature of the Mini requires attention (especially in the electrics department). I also have to figure out how to get the car to the registration appointment. Apparently you can get temporary insurance or get the car towed. I'm concerned with towing the car considering all the tow drivers I've experienced here show up hours late. It's taking me two weeks to get the registration appointment. If I can't make it because of a late tow truck driver, that'd be bad news. Another good contact is Ray Cunningham. I would carry the pieces like radius arms/cyl head...on the Dub-Galway train out to him. Then back the same day.